Definitely a book I have enjoyed if I can read a book in a few days with two small children then that is the same as when someone else may say they read in one sitting!!!! I loved the way the author was descriptive so much so that the whole story was brought to life; even someone without any imagination could picture this story as it was brought to life in the way that it was written. It is a magical fantasy that is well worth reading and that I hope will have much more to come in the future. This book is aimed at children / young adults but as a full grown adult I will predict this is going to be another book like Harry Potter that ends up being read as much by adults as it is by teenagers. I have another copy of this in my permanent collection as it is a Kindle copy I am unable to share but I purchased a paperback version that I plan to share in a bookring since it has been a while since I have done one. I have to agree with some other reviewers that there were times it made me think of Harry Potter but in fairness to the author I think most good fantasy magical themed books where there is a good versus evil magical battle theme will for the foreseeable future be compared to Harry Potter after all we have had ten years of Mr Potter and many of us are trying desperately to fill a void that has left us with. I recall one reviewer commenting on the characters being picked for political correctness I am assuming their reference was to a mixture of races and levels of disabilities amongst the character descriptions but in all the descriptions of magical beings both human and otherwise I felt the mix of main characters was a nice blend that worked well in the storyline. I would easily have given this 10 stars up until the final battle where I am afraid I felt a bit let down after such a great descriptive story throughout after that I feel it all felt a bit rushed and closed down trying to leave loose ends to follow up on in the sequel. That said I would still recommend and intend to look out for follow up story which I hope continues with the original descriptive narrative style that we found through most of this book and that felt far more magical to read. Goldenwattle (in Australia) ship ??? Looking forward to read it - I'm currently reading something else but will get to it in the coming days! Finally got around to read it and journal it! The basis of the story is very similar to the one of Harry Potter – magic, a parent missing – yet it’s different in a way that the main’s character’s relatives are aware of magic. It is well paced, in terms of the storyline, but it does take a while to get into it. Still, it was entertaining and quite “hooking” – another book that I had a hard time to put down once I started reading it. To read it you liked/loved the Harry Potter series! I already have the address of the next bcer, so it'll go in the mail this week! EDIT: the book is now travelling to the next bcer, as of March 22nd! Received in the mail today (thanks Carelaisa for sending it to me and thanks foxy737 for including me in the ring); will read and get it passed on as soon as possible (I have three ring/ray books right now). 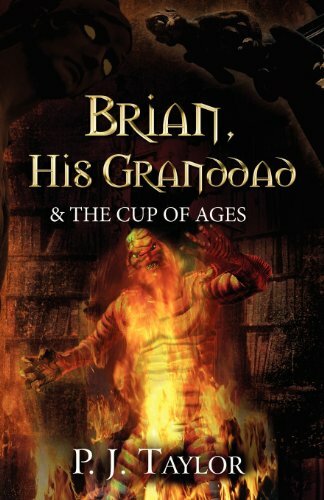 This is the fanciful tale of an eleven-year-old, Brian Pankhurst, who learns that monsters are real and not everything he thought about his parents and grandparents is true. His adventures begin when he moves with his granddad and grandma, and they don't end until he discovers a world of magic and the power of friendships to overcome evil. Will there be a sequel to answer lingering questions? It did seem like there were a great many parallels between this novel and the Harry Potter novels in my opinion. Sent via media mail to the next person on the list. Should arrive in a few days as it is not far from here to there. Safe travels, little book. Hope you enjoy the read. received today. thanks and will read asap. Got to the part about Violet/the tavern and I can't finish it, after several attempts. Contacting the next participant. I wanted to make an update je, but it took me a while to figure out foxy made an update about azuki and listed it travelling (the book is still in my possession). Anyway, as per azuki's request I'll pm tinajean and mail asap. ETA: TinaJean is in Oklahoma-so with the recent weather, it might take a while to get to her. I thought this was a very well written book. Very descriptive. Like others, I noticed a lot of parallels to the Harry Potter series. While I tried my hardest not to think of Harry Potter while reading this, I found myself saying that's not what (insert Harry Potter character) would do. Still, I think it's a good read & I'll be getting a copy for my nephew to read too. I'm contacting the next person on the list & will get this sent out ASAP.